One mental illness that is often misunderstood is schizophrenia. It is commonly described as having multiple personalities, but this is not the full truth. In fact, there are many different types of schizophrenia, each with their own set of symptoms, which certainly contributes to the general misunderstanding of the condition. Schizophrenia is a severe mental condition. The term itself means “split mind,” referring to the imbalance it causes within the brain. 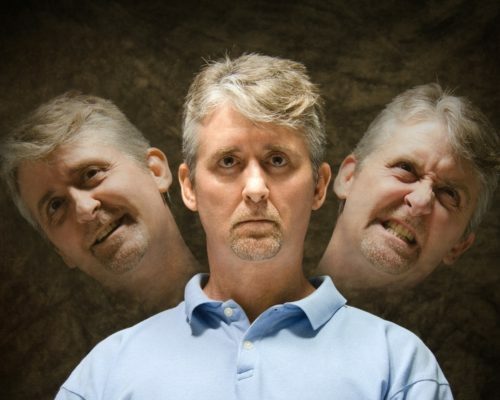 This is why it is often seen as a multiple personality disorder, because there is a battle between one’s own emotions and thinking that is going on. People with schizophrenia experience a combination of symptoms which include hallucinations, delusions, a loss in the ability to perform normal functions, and disordered thinking and behavior. Sadly, schizophrenia is a chronic disease and treatment can span a lifetime. But schizophrenia and its symptoms can be managed, so that the person can live a normal life. Currently, there is no pinpointed cause of schizophrenia, but researchers consider it to be a combination of environmental factors and genetics. Imbalances and problems within the brain chemistry may contribute to the onset of schizophrenia. Examinations of the brains of schizophrenics have revealed changes to the brain, so, although the cause is uncertain, scientists have determined it to be a disease of the brain. Family history, exposure to viruses, toxins, and malnutrition in the womb, use of mind-altering drugs in teenage years, and an increase in immune activity are all other potential risks factors of schizophrenia, according to the Mayo Clinic. Although general symptoms of schizophrenia may appear in all different types, each type is distinguished by a particular combination of symptoms. Catatonic schizophrenia mainly affects a person’s body. Reduced motor skills, rigid muscles, reduced pain sensitivity, and a lack of ability to care for their own self are all aspects of catatonic schizophrenia. Individuals with catatonic schizophrenia may have mutism, immobility, and be quite negative and refuse to complete tasks they are asked to perform. Furthermore, copy-cat behaviors can also appear, such as repeating words or actions that have already been said or performed by someone else. Disorganized schizophrenia refers to the disorganization of behavior and speech. These individuals may act childlike and withdraw from social contact. Those with disorganized schizophrenia oftentimes appear distracted with their own thoughts and express inappropriate emotions, like laughter during a moment of sadness. Their behavior can get in the way of performing everyday activities, and they can also be difficult to understand when they speak. When asked a question, they may go off topic and discuss matters completely unrelated as their thoughts are not organized. Delusions and hallucinations are most common in paranoid schizophrenia. These individuals can become quite angry, anxious, and argumentative. This is the form of schizophrenia most often described as hearing “voices” brought on by the hallucinations. Paranoid schizophrenics often misinterpret scenarios, which makes them angry. They can be jealous and feel they are being persecuted most of the time. Although this type of schizophrenia may seem the most violent, it is the one type that can achieve functionality through treatment. In residual schizophrenia, a patient has experienced an episode of schizophrenia in the past but it is not ongoing. The person may still experience one or two symptoms over time, but it does not take over their life. Although those with residual schizophrenia may not show positive schizophrenic symptoms any longer – namely, hallucinations and delusions – they still can have negative symptoms such as unexplained beliefs and disorganized speech. This form of schizophrenia can be a sign of remission, where no further episode appears or stays with the person over time without ever becoming another episode. In undifferentiated schizophrenia, a patient has many different symptoms for the other types of schizophrenia and, therefore, the condition is uncategorized. Schizophrenia is commonly treated with pharmaceutical medications that can help control symptoms caused by the imbalance within the brain. The problem with this form of treatment is, schizophrenic patients are often reluctant to take these medications. So depending on severity of the condition, this treatment may not be the best option. Social therapy is also a means of treatment as withdrawal from social contact is a major symptom of schizophrenia. Individual therapy, family therapy, group therapy, and vocal rehabilitation are all social means of treatment for schizophrenia. This form of treatment allows the individual to improve their social interaction as well as speech. It also assists in bringing the person back into social settings smoothly and comfortably where they can function once again. Sadly, the way that pop culture and the media portray the different types of schizophrenia paints quite the scary picture. Stigma continues to stick with schizophrenia because of these negative images and associations. We cannot overcome this stigma unless we educate ourselves and those around us to no longer fear this mental disease.